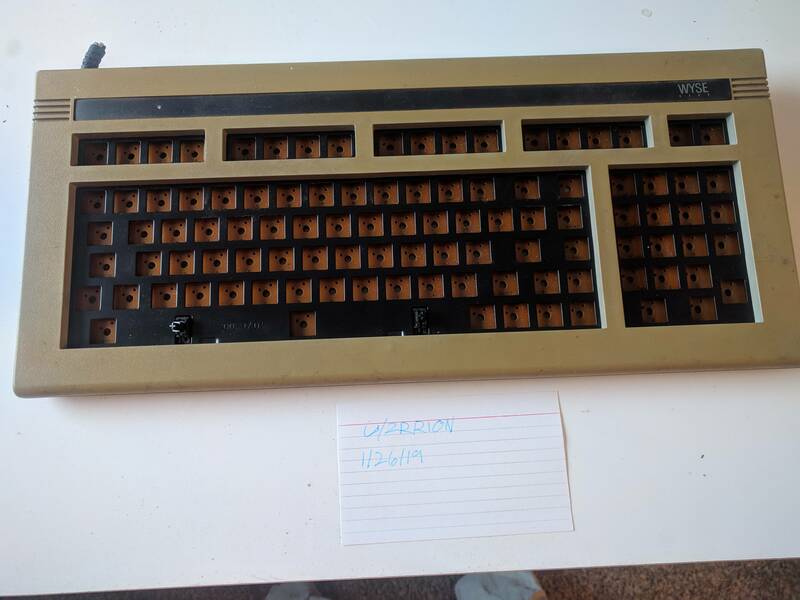 [ENDED] WTS/WTT Some vintage stuff. I somehow have accumulated a few spares and parts that I would love to send off to new homes. I'd like to sell these but I am open to trade. Name your price + shipping for most of these, details are in the spoilers. EDIT : I have sold all items that I intend to sell at this point If you really want something still pictured in the thread feel free to contact me, but be aware that I am likely not interested in selling, especially outside of the United States. Name your price. The caps and the boards themselves are for sale. The M is very inconsistent and doesn't have a controller. It did work when I had a controller in the board though. I assume it would improve the feel if it was bolt modded. The Wheelwriter boards feel very nice and are consistent. The white one feels and sounds crisper. If you do end up buying any of the boards themselves I will deck them out in any combination of keys you want based on what I have. Be aware though that I only have 1 complete set of wheelwriter caps. Name your price. 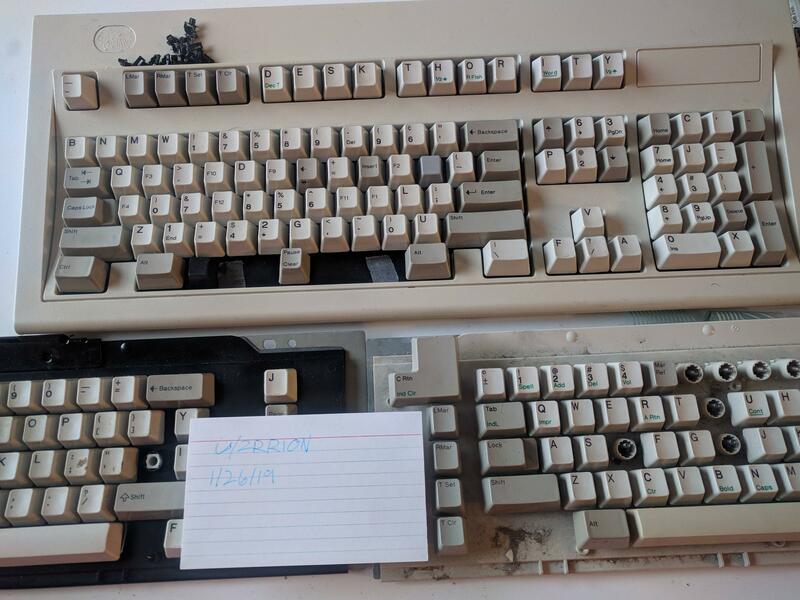 Would love to trade these for some clicky box switches. 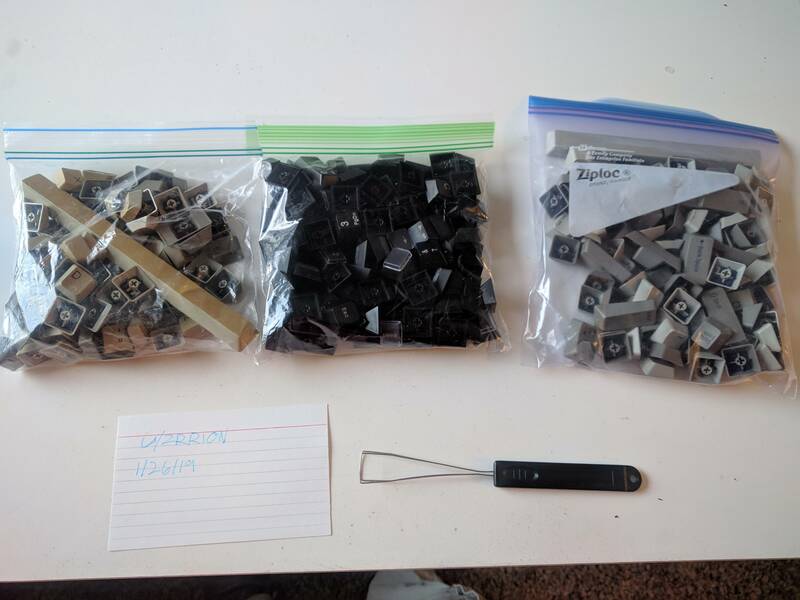 I have another PCE that I could desolder switches from if someone needs more than these switches. I mostly want to get these out of my house to make room for other, more different boards. 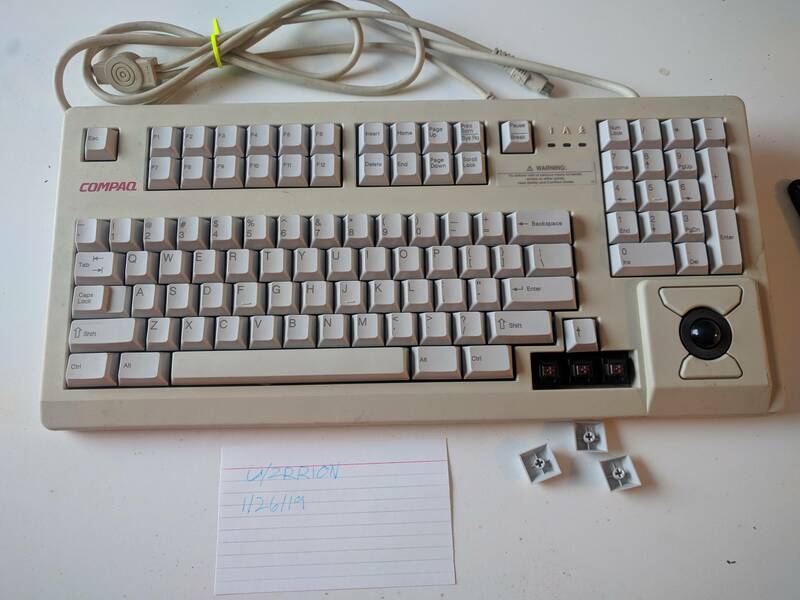 I have a few other odds and ends that I don't have pictures of so if anyone is looking for a fk2001 with inconsistent switches, a dell quiet key, an ITW magnetic valve board, or a Xerox docutech w/ brown alps let me know and I will dig them out and get pictures. Last edited by zrrion on 14 Mar 2019, 05:28, edited 5 times in total. I also have some interest in that Xerox docutech though I have a feeling it's going to be a bit out of my price range. Can you give a general idea of what you'd want from it? 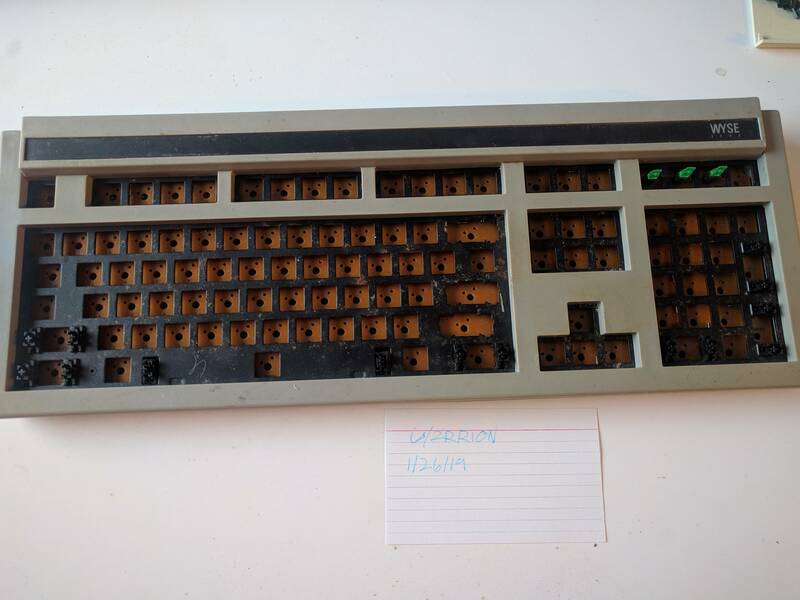 Do you have a left arrow key with the green sub-legend? 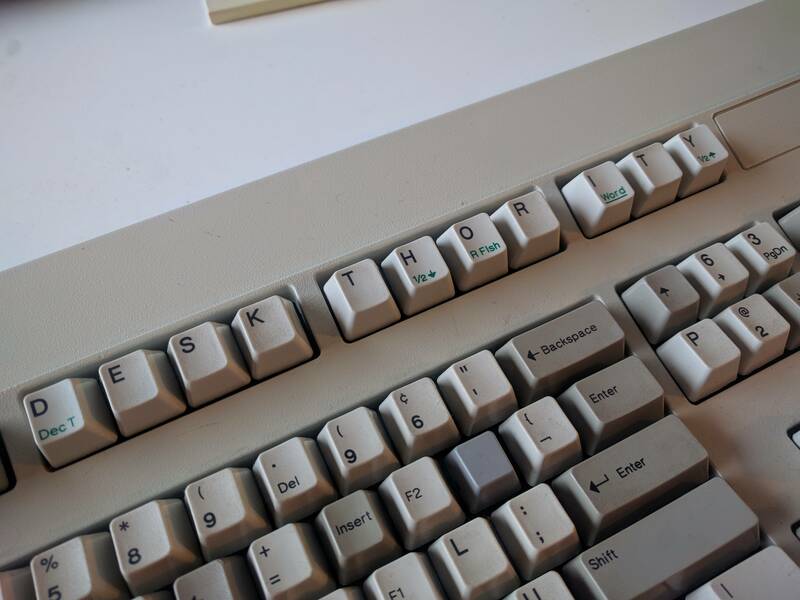 I need one for a Model M SSK. I should have one, I'll have to check when I get home from work. Name your price. 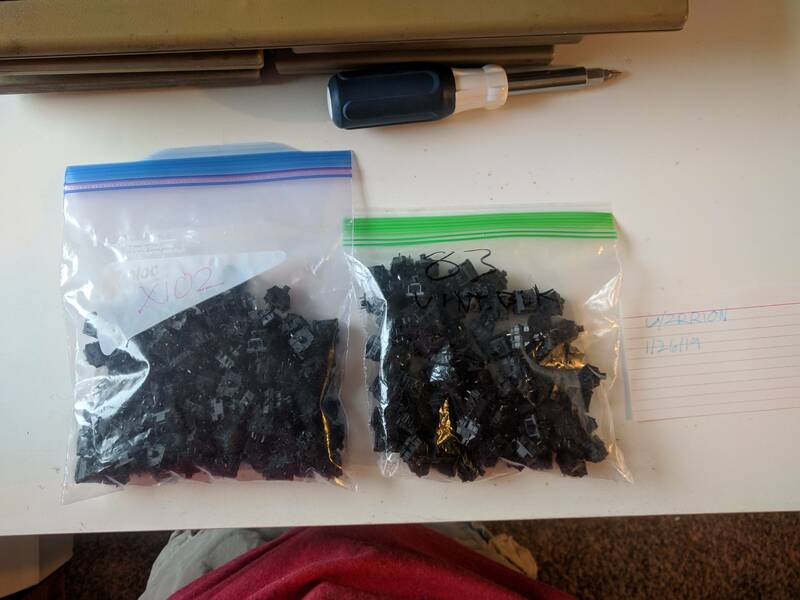 I have caps for every chassis and would prefer that the chassis and caps be sold together. 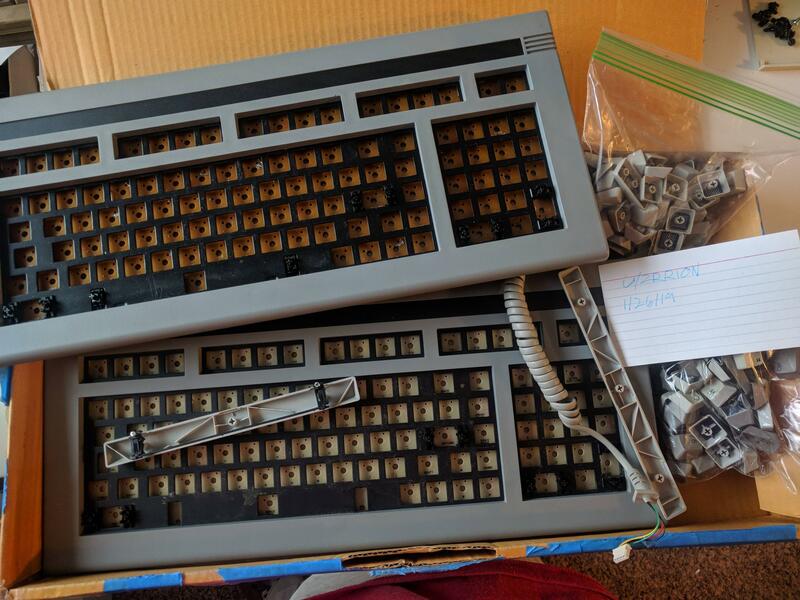 I have 2 ANSI, 1 PCE, and 1 50 as well as the caps from a G80-8113 although not all of the clear tops are present. The ITW seems interesting. What's the layout? Just got the Datadesk today. Pleasantly surprised with the switches and build quality. Man, you're right, that layout really is something. I didn't expect it to be so weirdly ortholinear. It is comfortable though. Ortholinear? Got some pics? Glancing at the Wiki, Datadesks look to be standard stagger. 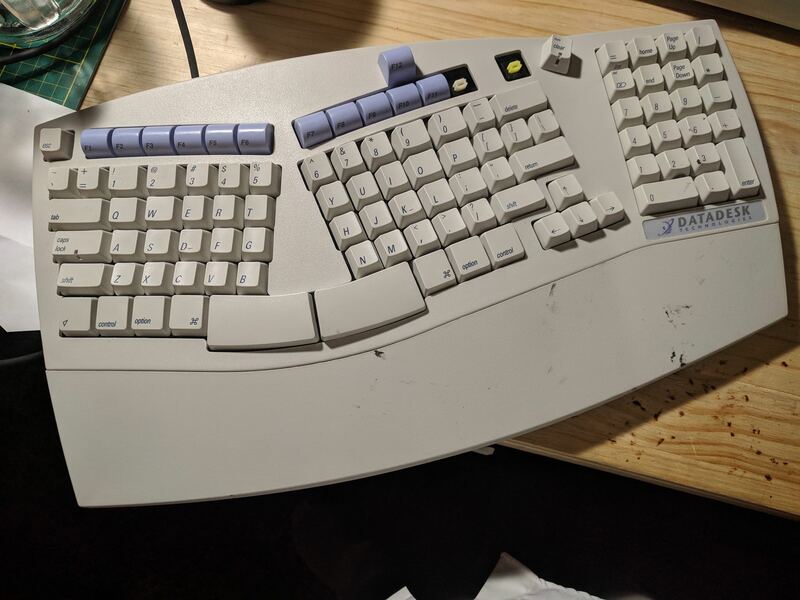 It isn't a Switchboard but an ADB ergonomic keyboard. I will get pictures later. It's not fully ortholinear but it is definitely partially so. It's orhto, but with weird cap widths. I personally hated the way it makes reaching things with pinkies a chore since all that stuff is really far apart. Its a shame that the layout feels so hostile since the board is very nice in almost every other aspect. Is the wyse 50 complete with all caps and stabilisers ? There's only one stabiliser for the space bar since all the >1u keys are stepped. It does have all the caps and that one stabilizer. US layout i am guessing ? I am interested , if we can get it to the UK for a less than insane shipping price . 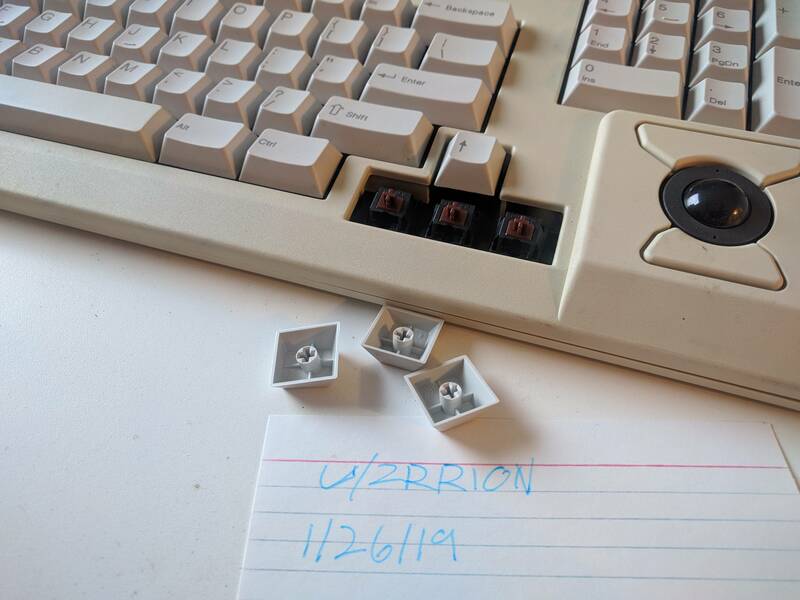 PM-ing for the vintage black switches. Small update to the first post. It is much easier for me to keep track of correspondence via email. Please use the forum to email me if you want to purchase something from this thread.